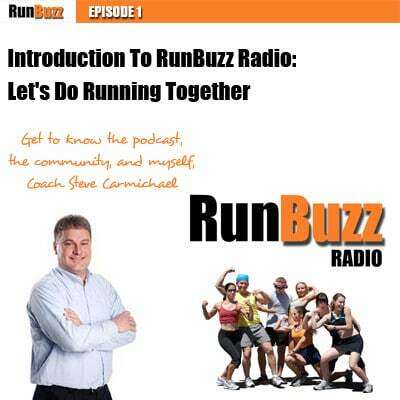 In this episode of RunBuzz, I introduce you to the podcast, the community, and to myself, Steve Carmichael, a recreation runner, running coach, running club director, and founder of RunBuzz.com. Together, we’ll explore what makes this podcast different from podcasts I have done in the past and why, after two years, I decided to switch directions and build a new brand, new podcast, and new community geared towards living a healthier lifestyle through running. Today, I share the basics of the RunBuzz podcast, how you can get involved as a co-host, and my goals to make the podcast go above and beyond the “pure training” focus I had for the Marathon Training Podcast I did previously. RunBuzz hits you right at the intersection of training and life. Lifestyle impacts our running just as much as the amount of miles you run or the pace of your tempo runs. These running-specific factors are certainly important, but, if you can’t manage the lifestyle pieces of the fitness puzzle, you may be sabotaging your ability to be the best runner you can be. All of these items (and more) play into how successful we are as runners. This podcast is geared towards all levels of runners – whether you’re taking your first steps or are an experienced pro, RunBuzz is here for you. Today, I share the philosophy behind the RunBuzz community. I describe how RunBuzz is built around accountability, motivation, and, ultimately, a support system for everyday runners. I explain how we need you to be a part of it and how you can get involved. The Power of RunBuzz is in the strength of the community. In this episode, I also share how you can get 30 days of coaching tips delivered to you directly by email. Additionally, you get links to our private Facebook group page, which is the home of our community forums. Unlike a ‘fan’ page, what you post actually gets seen by all members in their timeline. In contrast, less than 5-10% of Facebook fan page posts show up on your timeline unless the page owner promotes the post at a cost. Finally, as part of the Runner’s Toolkit, you get email access to email me your #1 running issue, and I’ll give you a personal response. Share RunBuzz Radio with your friends!